Vector Controls and Automation Group will market SFC’s EFOY Pro Hybrid Fuel Cell Solutions to customers in Texas, Kansas, Oklahoma and New Mexico. +++ With the partnership SFC gains direct sales access to the U.S. upstream oil & gas, water, and waste water markets. Oneberry Technologies is ranked 19th in Singapore’s Fastest Growing Companies survey, 1st in the Security Automation Category, an initiative jointly organized by The Straits Times and Statista. +++ Oneberry’s automated mobile surveillance solutions use EFOY Pro fuel cells by SFC Energy for power autonomy and reliability and environmental friendliness. +++ EFOY Pro fuel cells are used by government and industrial users in many parts of the world for ensuring reliable off-grid power to defense, security and surveillance applications. 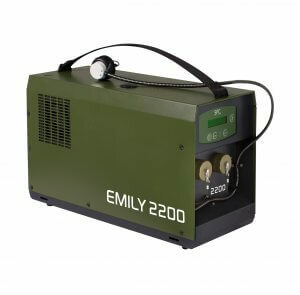 Portable JENNY 1200 fuel cell produces reliable, clean and fully automatic off-grid power in multi-day missions. 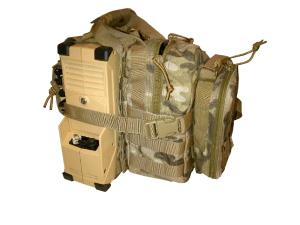 +++ Over 80% weight savings for soldiers in the field. +++ Value: over EUR 1 million. Bundeswehr procurement office BAAINBw equips additional units with SFC Energy’s proven energy network with JENNY 600S fuel cell and Power Manager PM3G. +++ Follow-up order volume: EUR 1.4 million. +++ Order delivered and sales & earnings reported in Q4/2018. The magazine’s readers vote the environmentally friendly, silent power source on place 3 in the power generator category. +++ EFOY COMFORT is established in the leisure and caravanning markets in Europe and North America. Simark Controls wins new major customer: Canadian Oil Producer places order for Simark’s successful, fully integrated Variable Frequency Drive Systems (VFDs) for their oil assets. +++ Simark’s VFD systems help the oil producer to significantly reduce costs with unique installation and operations benefits. +++ Order amount: In the upper six-digit CAD range. Delivery and sales & earnings reporting still in 2018. 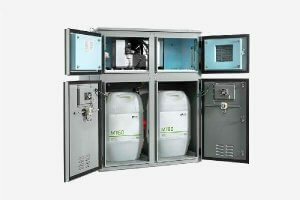 Bundeswehr buys EMILY 2200 fuel cell systems and SFC Power Managers; total order amount: approx. EUR 1.25 million. +++ The order represents repeat business for SFC Energy following the approval and successful deployment of the fuel cell by Bundeswehr in December 2011. SFC Energy is granted access to the existing product portfolio, expanding the SFC power range midterm up to 100 kW with the new fuel cell. +++ adKor grants SFC Energy a non-exclusive license to IP rights of former FutureE, P21, and Heliocentris. +++ The H2 technology builds on 30 years of fuel cell expertise. This will significantly shorten development time and lower development cost. +++ The strategic extension of SFC’s product portfolio opens attractive new applications in critical infrastructure and telecommunication, in back-up power and – in the long run – also in e-mobility. Both companies will develop the new hydrogen fuel cell generation together and sell it to their individual core markets. 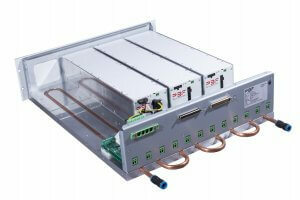 Order is for LASY series power supplies by PBF in various configurations for ideally adapted number of channels in laser systems. +++ LASY series builds on PBF’s successful standard and semi-standardized High Power Platform for fast and cost-attractive customization. +++ Order amount in the middle six-digit EUR range. Annual revenue potential following system introduction in 2020: approx. EUR 2 to 3 million.